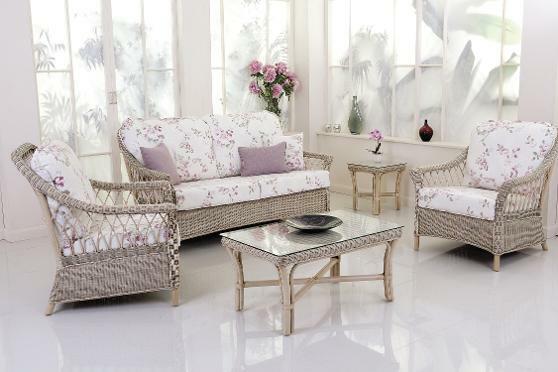 A new design based upon traditional features with a modern twist, the Glenmore has been designed using delicately woven Rattan which has been skilfully shaped to produce this stunning set. The large pillow back cushion in conjunction with the Bultex base foam ensures maximum comfort and versatility. The Glenmore is presented in a Light Natural Wash which also maximises your options as additional accessories can be drawn from either the Oakham or Sisca ranges. Shown in Light Natural Wash finish with Knebworth and Lavender fabrics.